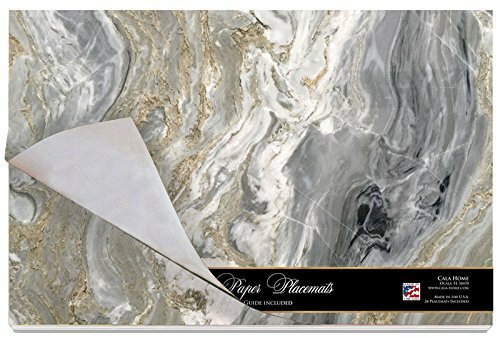 Package of 24 Premium Disposable Elegant Placemats on top quality paper in size 17" x 11"
Rich in vibrant colors, this is a perfect solution to brighten any table and help protect from unavoidable messes and spills. Use the placemats as part of your table decor to add that extra sparkle and color to any party, event, restaurant or everyday dining. If you have any questions about this product by Cala Homes, contact us by completing and submitting the form below. If you are looking for a specif part number, please include it with your message.